What is Thai Yoga Massage Therapy? The healing techniques of Thai Yoga Therapy combines acupressure, energy work, stretching, joint mobilization and a series of assisted yoga postures to unblock the major energy channels in the body which we in the West have come to know as tension and knotted muscles and is referred to in India as “sen” lines. In this unique healing system of Thai Yoga Massage the client lies passively on a mat on the floor in comfortable clothing (usually yoga pants or gym pants and a t-shirt) and the practitioner moves the client’s body through a series of yoga postures. The result is a comprehensive full body treatment that releases tension, relaxes sore muscles, improves circulation, increases joint mobility / muscle flexibility, boosts the immune system all while balancing the body energetically and is therapeutic for a number of physical and emotional conditions. Imagine a blissfully integrated experience that is revitalizing, yet deeply relaxing. Thai massage is well-respected and a proven healing art that is quickly gaining popularity in the West because of its applications of yoga and it’s far reaching benefits to both mind and body. 2,500 years ago a dynamic bodywork therapy based upon yoga and Ayurveda practices, appeared in the temples of Thailand. This therapeutic art was directly rooted in the Indian healing traditions of Ayurvedic medicine. The father founder of Thai Yoga Massage, Jivaka Kumarbhaccha was a renowned doctor and yogi, he treated the Buddha, among others. After the Buddha’s death, the earliest Buddhist monks traveled to Southeast Asia and were accompanied by Ayurvedic doctors. 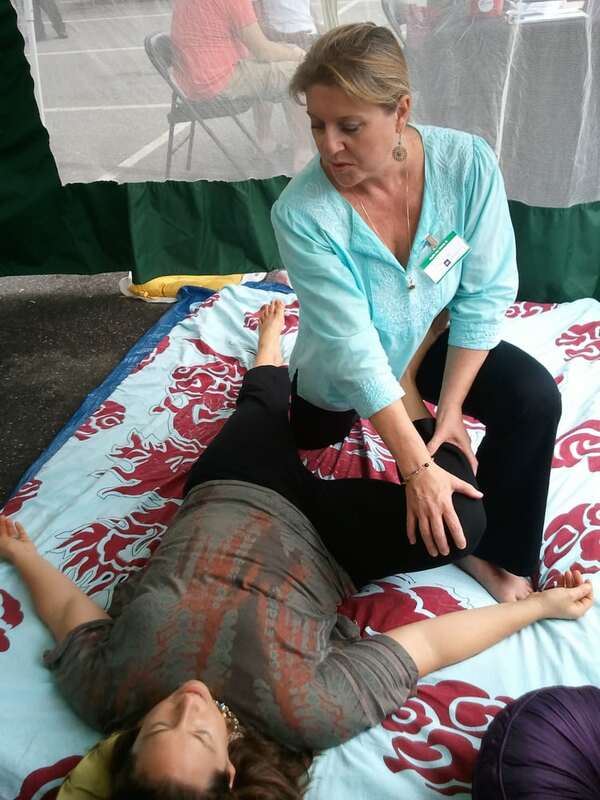 These doctors practiced a healing art, that would later evolve into traditional Thai Massage and later gave birth to the very popular and emerging Yoga Therapy.